This oval shaped medical ID charm is a made from 316L stainless steel with a red enameled medical symbol on the front, which serves to alert first responders to your medical information engraved on the back. 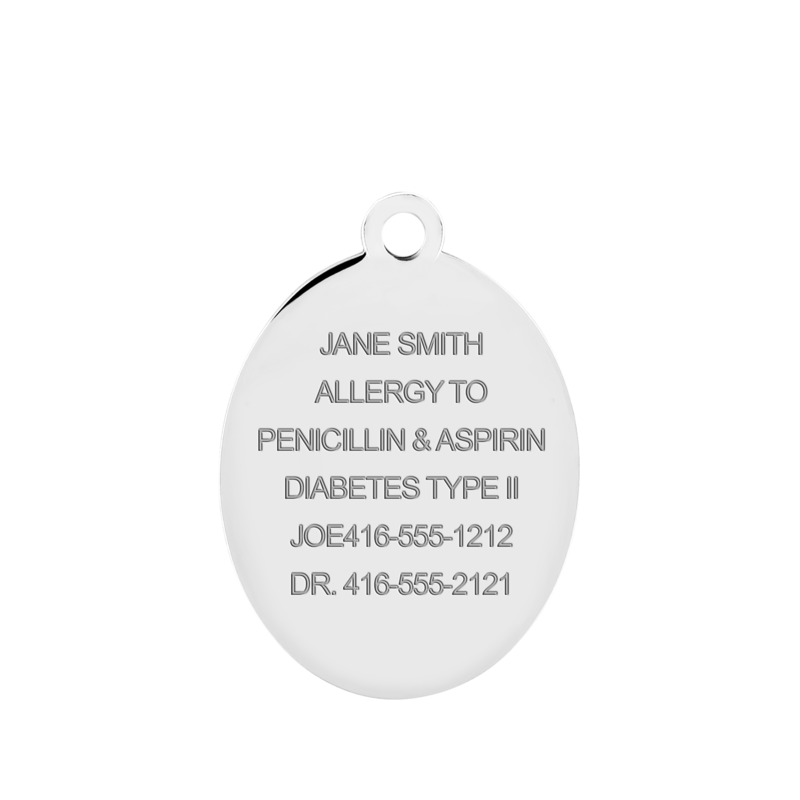 It hangs on a stainless steel lobster clasp, making it perfect for adding to a bracelet, zipper pull, shoe tag, or bag tag. This charm is 100% 316L Stainless Steel, which is hypoallergenic, so it can be worn by anybody!